Drynan, John Livingstone. Passed away in his 85th year on July 9, 2018, from injuries suffered in a tragic accident. Beloved husband, father and grandfather, John is survived by the love of his life Patricia, and his children Lisa (Dave) and John (Sara). John will also be missed by his adoring grandchildren, Hannah, Maeve, Autumn, Calvin, Bronwyn, Kristi, as well as, his four-legged best friend Roxie. ‘Rube’, as he was affectionately known, will always be remembered as a gentleman who put family and friends first and never backed down from a fight. He was a daily fixture at Austin’s Park on Lake Erie, where the patrons knew him variously as owner, maintenance man, local sage and raconteur. Once a month he joined a group of irascible gentlemen known as the Dunnville Slowpokes. They had lunch and told tales of their drag racing exploits from 60 years ago. Some of the stories might even have been true. 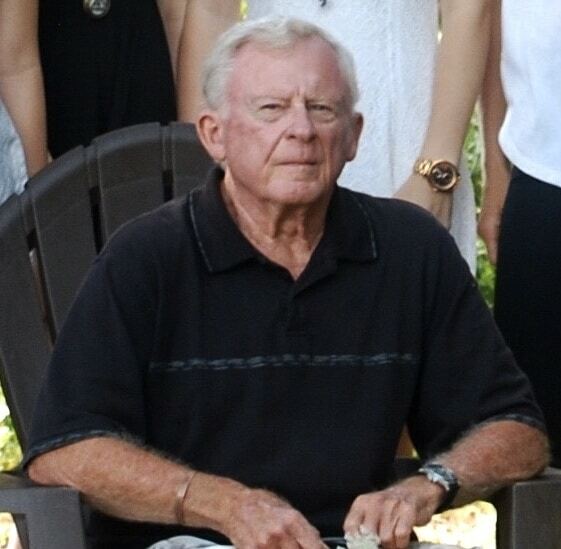 John will lovingly be remembered as a coach in Dunnville Minor Hockey and an avid golfer who was very adept at winning golf matches before ever teeing off. Among the finer things in life, he enjoyed rare steaks and cold Manhattans and lively (very lively) conversations. He looked forward every fall to his winter retreat in the sunny south. John was a true original, a fiercely loyal man who loved his family, his friends and his dogs. He had wit and style and he possessed a crusty exterior that could never hide a heart as big as a Buick. Pat, Lisa, John Jr and Roxie.